Summer after summer Darly and her mother, Viv, leave the city and return to a isolated, dilapidated cabin on the reservation. Now a young woman, Darly vows she'll never make the trek again. Her mother may find a sense of peace in the place, but for Darly there is only boredom. 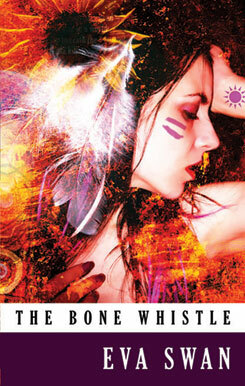 Then her grandfather's gift of a bone whistle results in Darly discovering the secret of her birth and her true heritage: her father was not human. One of the elusive wanaghi, the fey-like folk who live beneath the Dakotan hills, he left Viv to return to his own kind before realizing she would bear his child. Viv has longed for his return ever since. Seeking her father. Darly ventures into the magical and dangerous world of the wanaghi. After she meets a young man who steals her heart, her quest becomes a revelatory journey of self-discovery. Eva Swan is a pseudonym for a writer/editor/artist of Native American descent who currently resides in England.